Can Elderly Patients Use TENS Pain Units Safely? While the use of any medical procedure should be approved by a physician, many doctors believe that a TENS machine is generally a safe alternative to pain medication for elderly patients. Instead of relying on countless drugs to trick the body into experiencing less pain, the TENS procedure may actually help to eliminate pain at the source. TENS is an acronym that stands for Transcutaneous Electrical Nerve Stimulation. Transcutaneous means “through the skin.” To use a TENS machine, the patient applies self adhesive electrodes to the area affected with pain. These electrodes then deliver small, persistent electric stimulation to the pain-stricken area. This electrical stimulation affects the nerves that are delivering pain signals to the brain. In many cases, pain can be relieved for days at a time with just a single session of TENS treatment. Who Can Use TENS for Pain Relief? There are no hard and fast rules regarding the safety of the TENS procedure. For most people, even the elderly, TENS units are recommended as a safe alternative to medication. Taking pain medication day in and day out can be taxing on the body and even dangerous. Powerful pain relievers sometimes carry a risk of dependency, while the TENS machine uses simple electrical pulses to relieve pain. There is no risk of dependency, no harsh side effects, and no mind-altering effects. This procedure has been used since the first century, when ancient Greeks used electric eels and fish to eliminate pain in the body. Who Should Not Use TENS? Because TENS relies on electrical pulses to stimulate nerve activity and relieve pain, it is not safe for everyone. There are some individuals who will have adverse effects from even the smallest electrical pulses applied through the skin using a TENS machine. Epileptic patients should not use a TENS pain reliever because the electrical pulses can trigger dangerous seizures. Similarly, patients with a pacemaker cannot safely use TENS. A pacemaker keeps the heart beating regularly by constantly stimulating it with electrical signals. A TENS machine can disrupt these signals and cause the heart to stutter, skip, or even stop. In fact, it is generally suggested that patients with any heart defects at all avoid the use of a TENS machine. 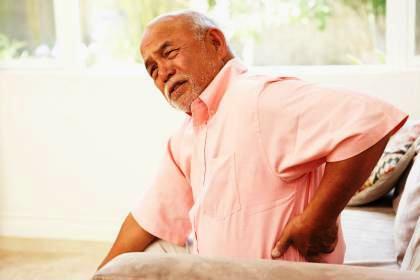 As with any pain treatment, it is important to consult with a physician to determine whether or not one is a good candidate for pain relief through a TENS procedure. Many different factors can affect the safety of the TENS electrical stimulation, but thousands of elderly patients have found relief without medication through the TENS procedure.